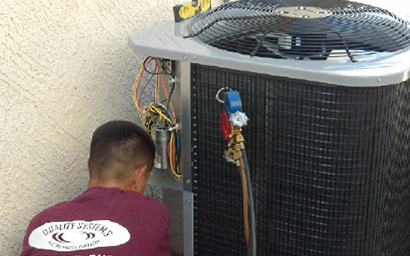 As a general contractor, I rely on many versatile tools to get the job done. I don’t have time to fiddle around with products that are difficult to use or don’t work as advertised. Portable generators are among the tools that have proven indispensable for me. Whenever I need a portable generator, there are two requirements that must be met. They must be able to power my tools during a typical workday with no hiccups, and should be easy to transport to any job site. You probably heard me talk about the Generac iq2000 portable generator on the Image Home Improvement Show radio program last month—and how pleasantly surprised I was with the test unit Generac Power Systems sent to review. From the moment I started unpacking the iq2000 from its shipping box, I quickly noticed how portable and lightweight it was—at just 42 lbs. 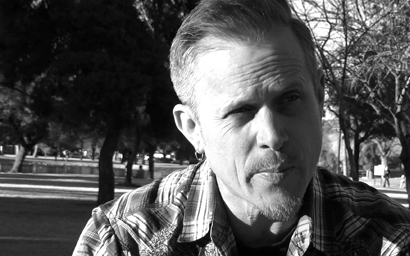 As I set it up, the instructions were easy to follow and the process was very simple. When it came time to put it to the test, I used the iq2000 during an average workday at a remote job site, where power was not available. The unit was used with multiple electric wood sawing, drill and screw guns for eight hours. Throughout the day, all devices ran at nominal speeds with very little drawbacks. I was pleasantly surprised how quiet the iq2000 was. However, as load increased, the iq2000 got louder. That was expected, of course. 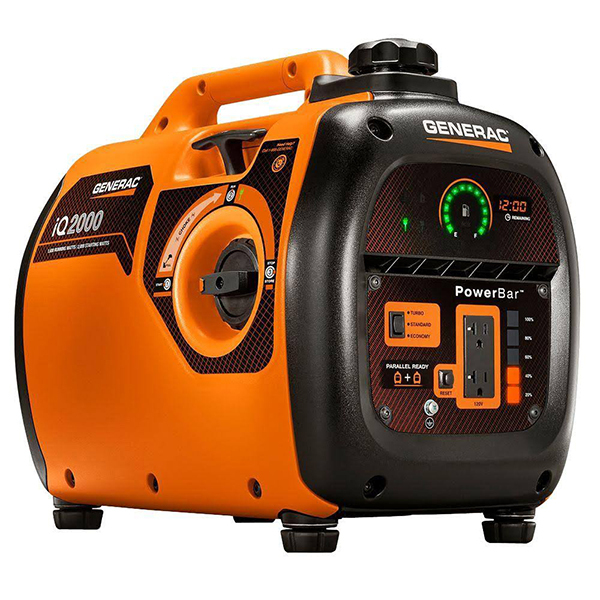 The iq2000’s most popular feature and often boasted by Generac is its ultra-low noise level—and I concede, it’s quieter than most other portable generators I have used in the past—even at high loads. The iq2000 displays a lot of useful information about its status, including fuel level, amount of electric power used by devices connected to it, remaining runtime, and generator status. In the event of an overload, the iq2000 was designed to shut down to prevent damage. At times, when sawing through some tough wood, the unit did shut off—a quick reset brought it back online. Start, run and stop functions are integrated into one easy-to-use control. I also tested the iq2000 with a large air compressor; however, the amperage drawn must have been too much for it, and forced a shutdown/reset. I anticipated this since the unit is advertised as a 200-watt generator. I tried smaller portable compressors that do not draw as much power and the iq2000 ran well. Although the iq2000 portable generator is marketed towards outdoor enthusiasts, which include hunters, campers, and even tailgaters, I would highly recommend this unit to contractors who might need temporary power at their job sites. It works as advertised! 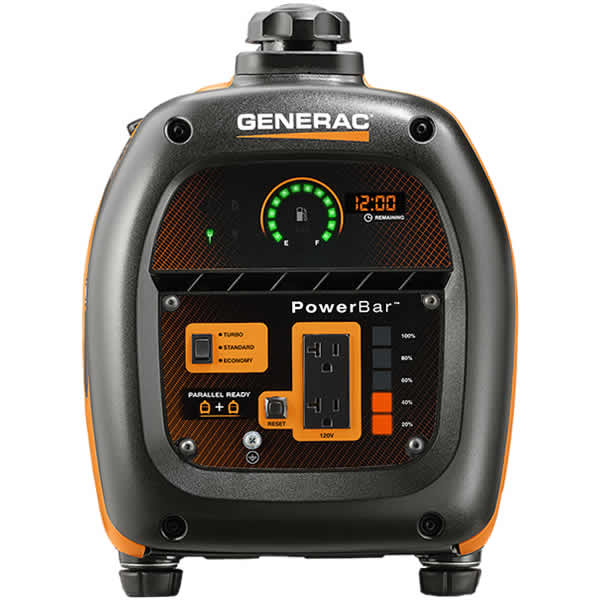 You can find the Generac iq2000 portable gas generator for $799 on Amazon.